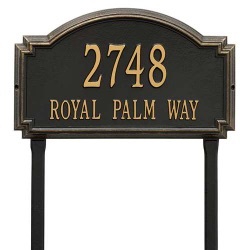 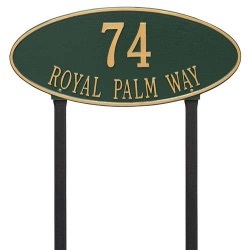 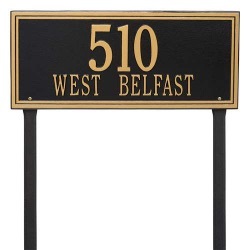 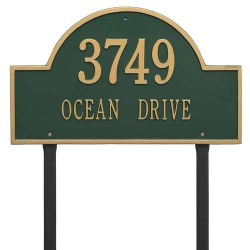 Estate Series lawn address plaques are specially proportioned for larger home and estate lawns. 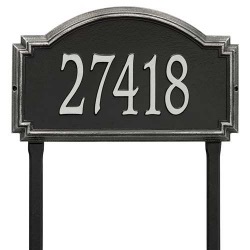 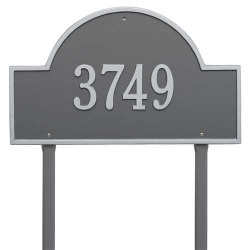 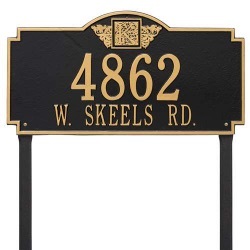 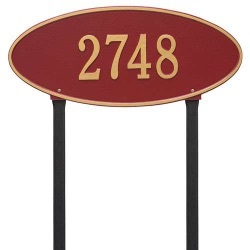 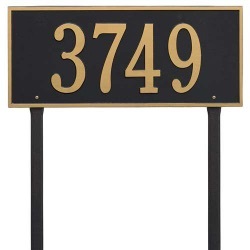 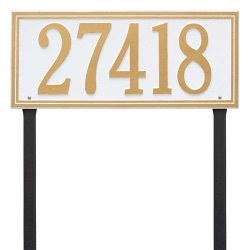 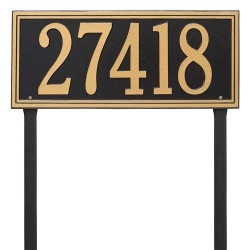 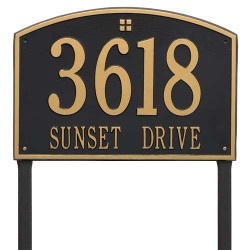 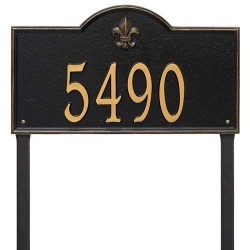 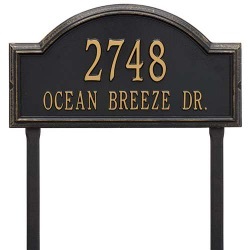 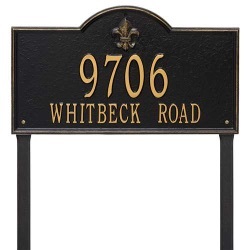 Elegantly display your house number, customized with your family name, street name, or monogram if desired. 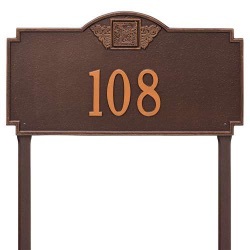 Numerous plaque styles and color options are available to match the aesthetic of your home, including antique brass and oil-rubbed bronze. 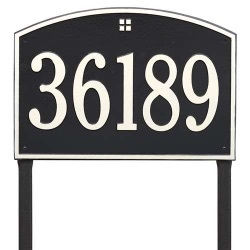 Estate Series lawn address plaques are long-lasting and finished with an Alumi-Shield All Weather Coating for unmatched durability. 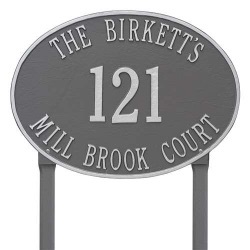 Each plaque is designed, cast and finished by skilled craftsmen and carefully inspected before delivery.